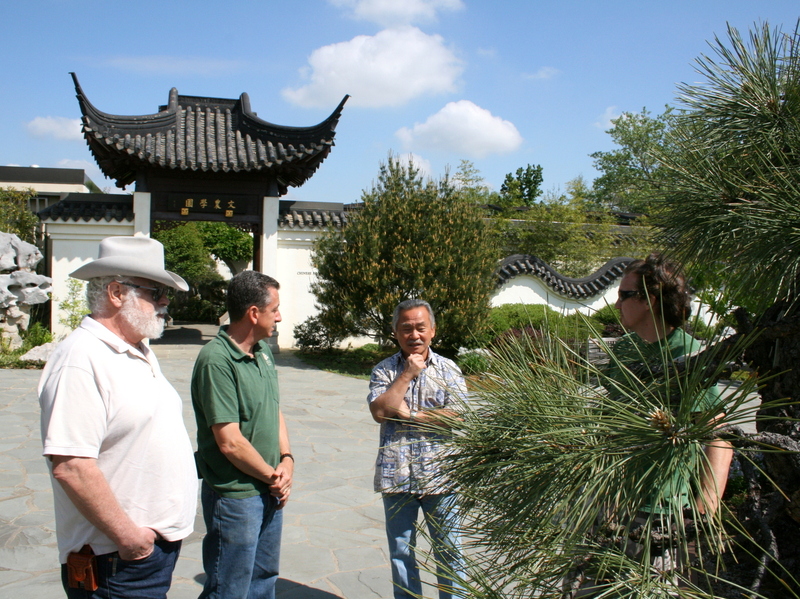 Recently bonsai professional, Roy Nagatoshi, stopped by the Museum while he was in the area teaching . 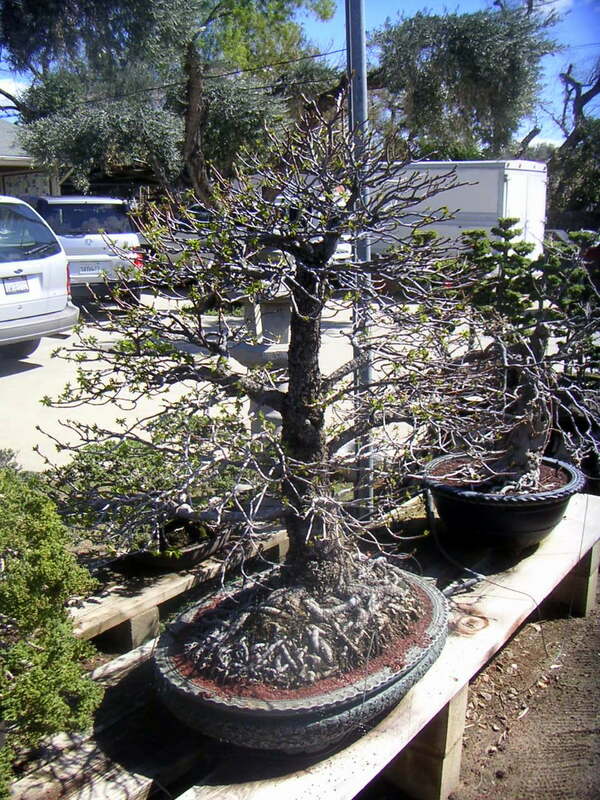 Roy has been coming out to the DC area to teach bonsai for over 15 years. From left to right, PBA President Chuck Croft, Museum Curator Jack Sustic, Roy Nagatoshi, and myself. 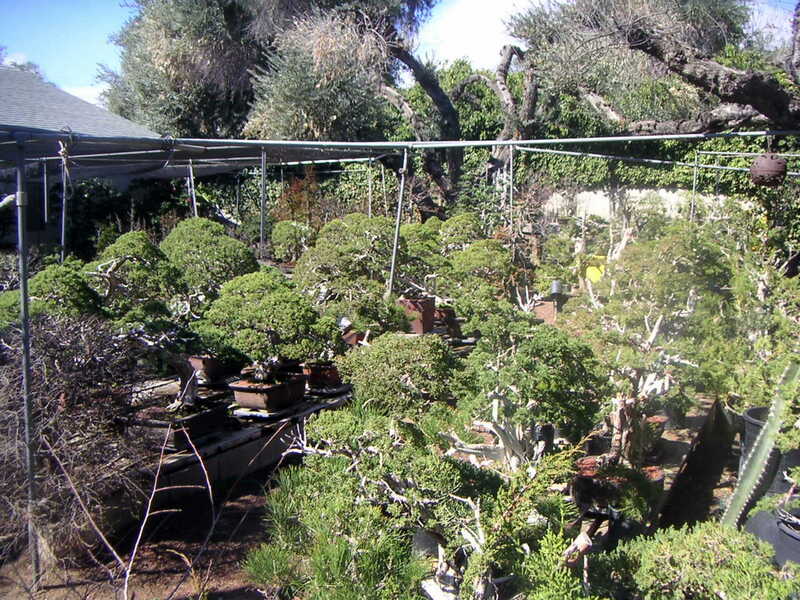 When he is not traveling Roy can be found at his nursery, Fuji Bonsai, in Sylmar California. 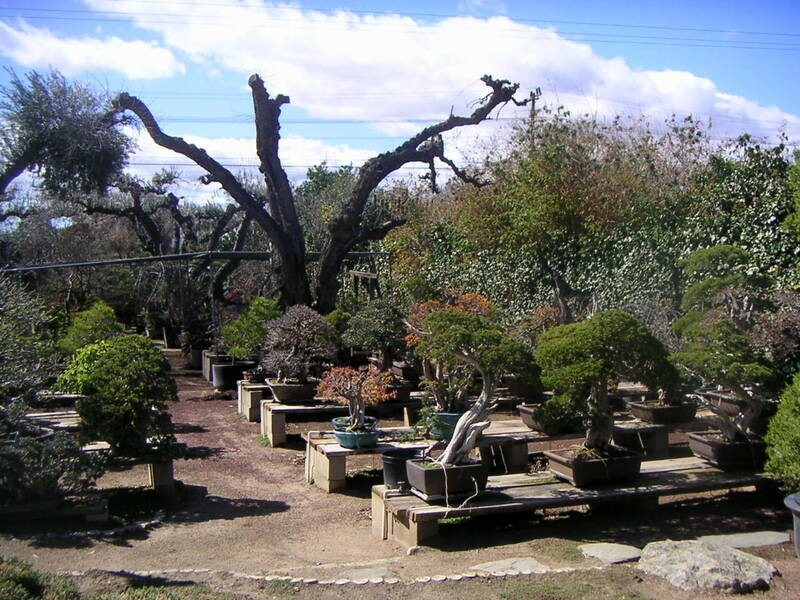 Fuji Bonsai Nursery was started in 1965 by Roy’s father Shigeru . 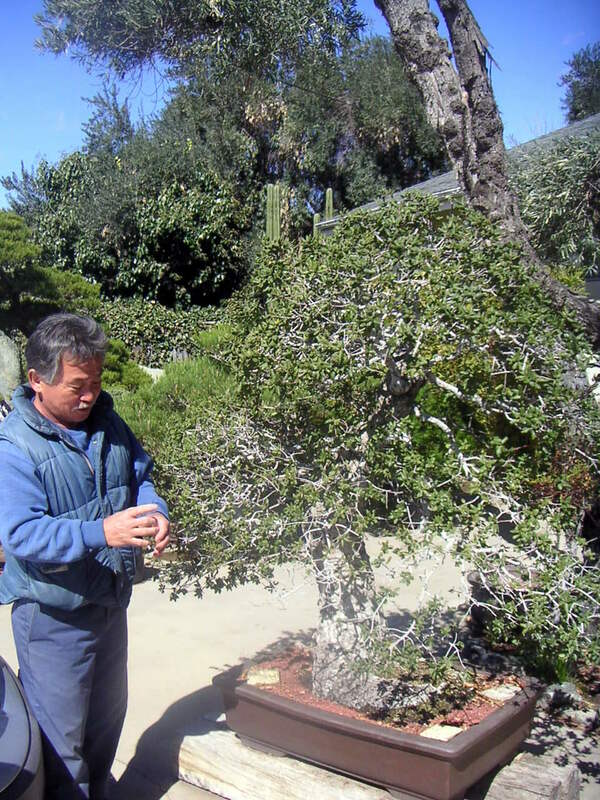 Roy is one of the few second generation bonsai nurserymen still operating in the U.S. 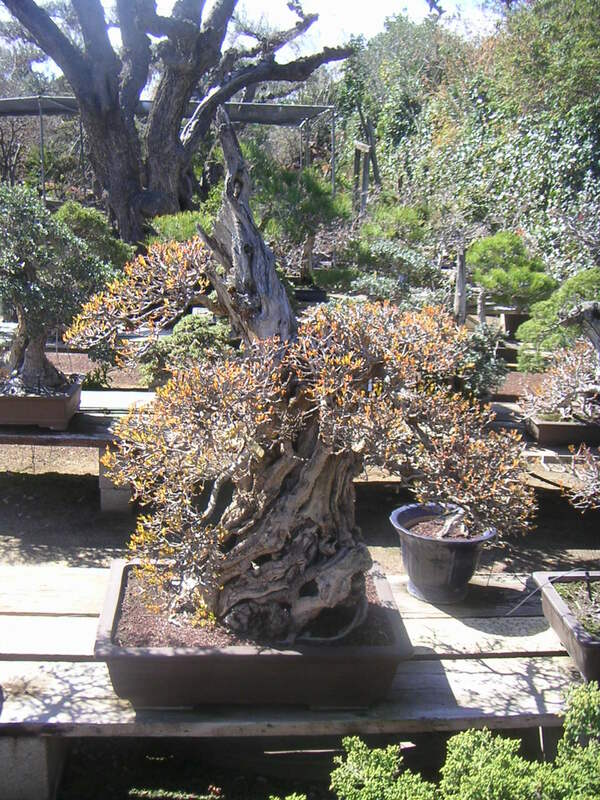 In 2007 I spent several days working with Roy at his nursery and admiring some of his amazing trees. 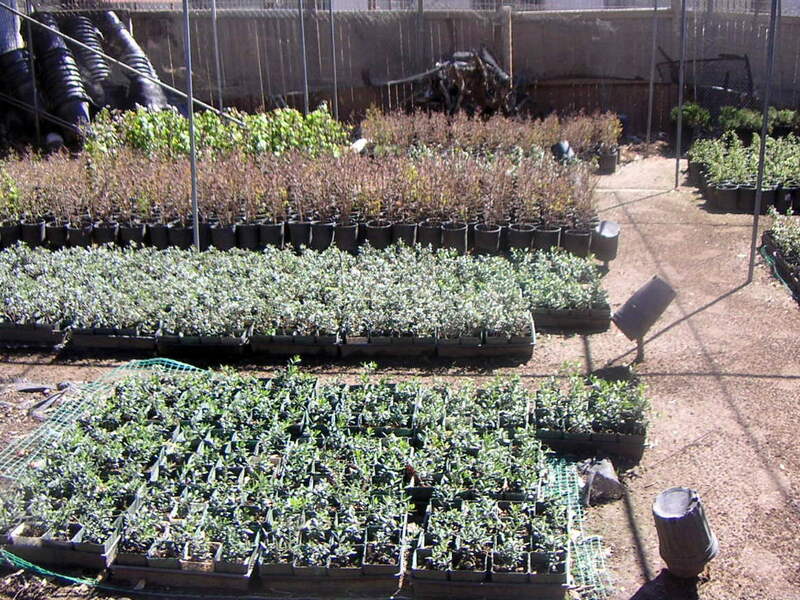 … and a lot of propagated stock. This massive Pomegranate was one of many very large trees at the nursery. 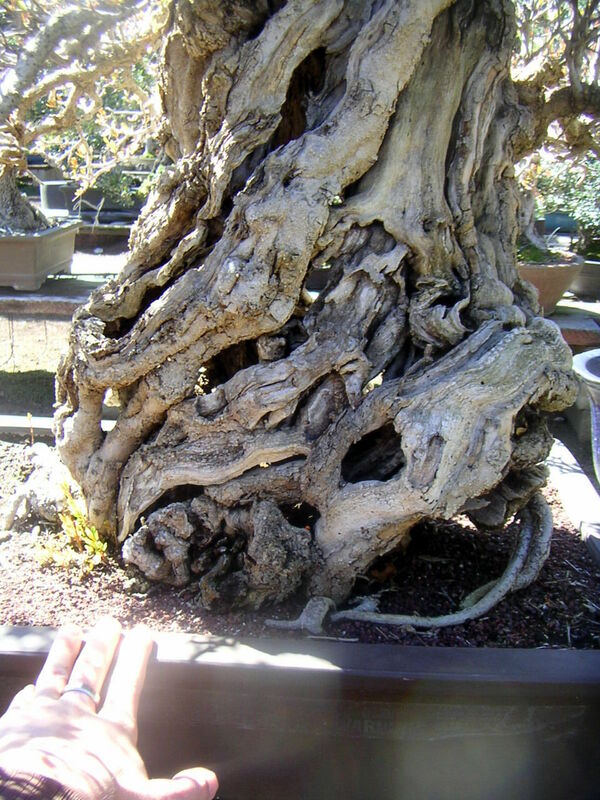 Here is a close up of the trunk with my hand for reference. 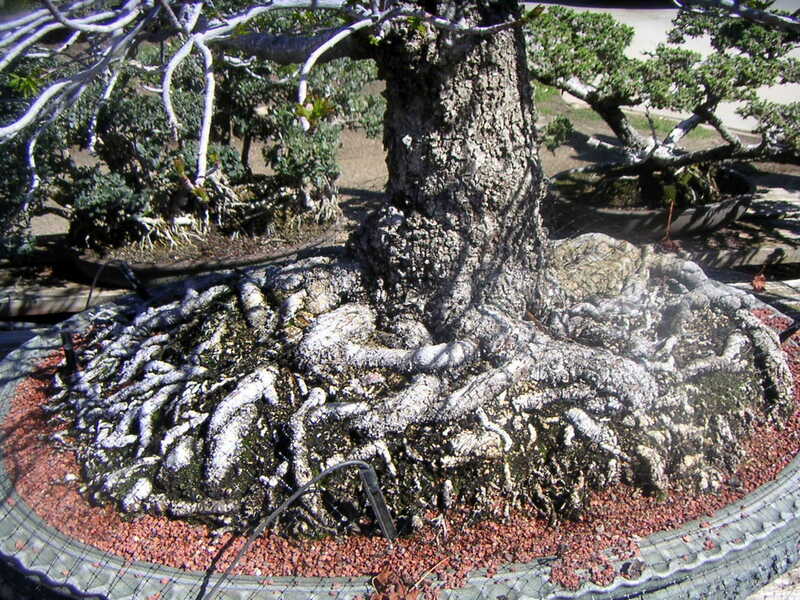 Roy has an in depth knowledge of many California species like this Cork Bark Oak. 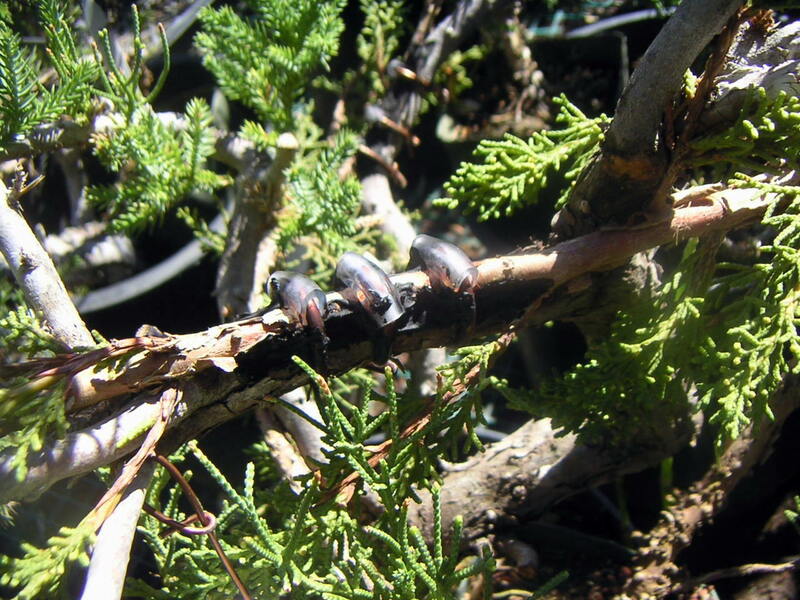 Perhaps the thing he is best known for is changing Juniper foliage with his approach graft technique. Approach grafts are different from scion grafting because the graft has its own root system which sustains the graft until it has fused with the stock plant. 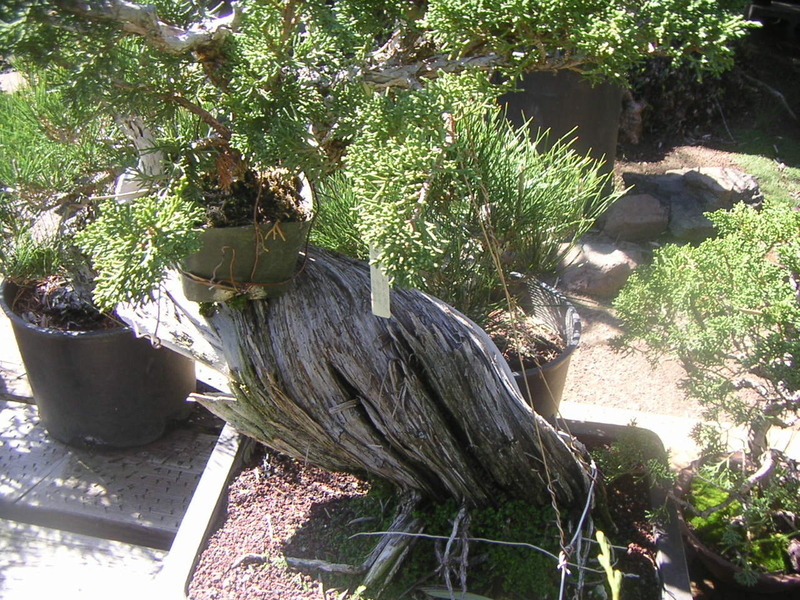 Roy grafts Shimpaku Juniper whips onto collected California Juipers because Shimpaku foliage is much finer and more compact than the plants natural leaves. 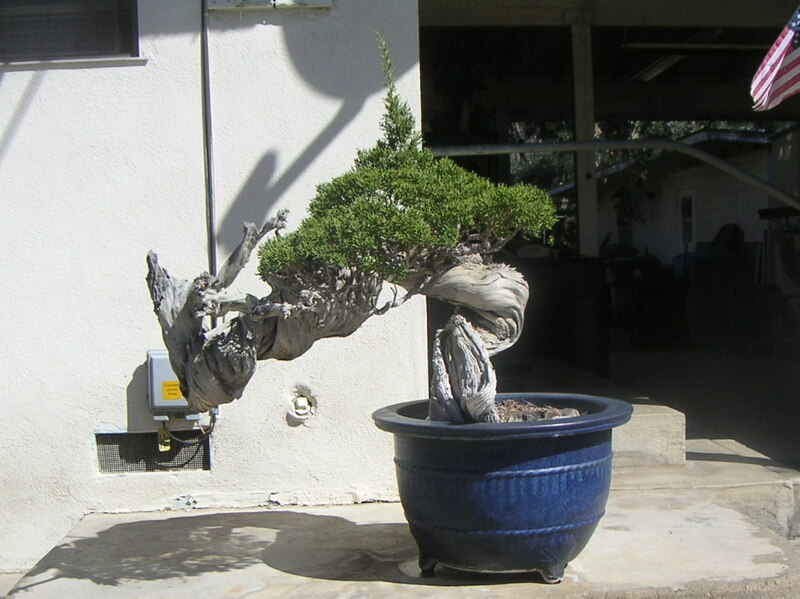 This process of replacing a plants foliage with a different cultivar is known as “changing cloths”. Here is a close up of an approach graft with the Shimpaku whip on top of the stock plant. The results of this technique can only be fully appreciated in person.